Fibromyalgia (also abbreviated as FM) is a chronic disorder in which those who have it suffer from health problems like intense pain and fatigue. Although there are other conditions that often overlap with Fibromyalgia, the symptoms that make up the disorder have the ability to disrupt the lives of the people who have it. While there is no known cause, there are many theories on how people get Fibromyalgia. One of those theories is that the disorder is genetic, and those with a family history of FM will develop it. Due to the fact that the disorder seems to run in families, many people wonder if Fibromyalgia is hereditary. There is a good deal of research on this theory, but the conclusion is that there is no direct genetic link. By direct genetic link, researchers mean that the disorder is passed from parent to child. Although Fibromyalgia is not directly a genetic disorder, researchers have found that there is a predisposition. This means that those who have an immediate family member, most likely a mother or sister, with FM have a higher chance of getting the disorder. For those who have an immediate family member who has Fibromyalgia, it means that you might not suffer from the disorder. However, research has found that most people who have FM were triggered by an event such as suffering a physical trauma. This is important to remember for those who have a predisposition to the disorder since they can develop it if an event triggers it. It is obvious that there is a difference between having a predisposition to a disorder and having pass down to each generation. But to understand whether Fibromyalgia is hereditary, we need to know two basic genetic terms. These two terms are monogenetic and polygenic. 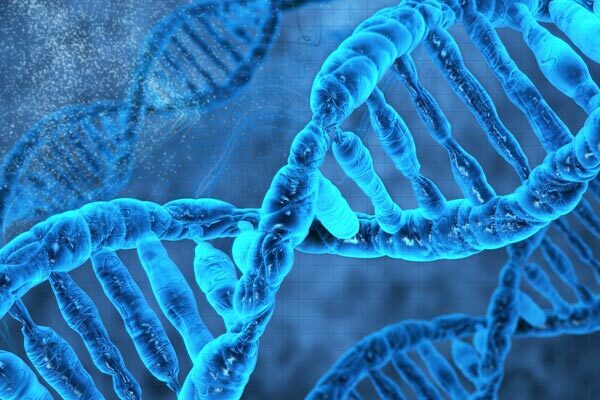 The terms refer to traits that are involved in determining the genes that are in a person. Monogenic refers to the specific traits that are directly passed down. As in it passes from parent to child. There are many known diseases and disorders that fall under this category. For example, hemophilia is a very famous blood disorder that is mostly genetic. It is a recessive disorder that are passed from mother to child since the gene mutation is in X chromosome. Based on what is known about Fibromyalgia, the disorder is not monogenic. Polygenic are traits that are not simply passed on as like monogenic ones. Traits that are polygenic are more complex since they are controlled by multiple genes, and sometimes both chromosomes can influence what trait is passed. Examples of polygenic genes are hair color and diabetes. With diabetes, there are both genetic and environmental factors that are important to know if you are at risk for developing type 2 diabetes. People who have poor diet and exercise habits are more likely to get type 2 diabetes, especially if they have a genetic disposition to the disease. This is what makes diabetes a polygenic trait since there are multiple factors that decide if a person is at risk to develop it. Based on the evidence, Fibromyalgia is a polygenic trait like diabetes. There are some genetic factors that cause some to be at a higher risk for FM. In a study, it was suggested that there were some abnormalities in the genes associated with Fibromyalgia. Despite the research, the cause of FM is still unknown. Overlapping disorders and environmental, play an important role in developing Fibromyalgia. People with autoimmune diseases like Lupus are at higher risk to develop FM. A physical traumatic event like getting in a car accident can also lead to having the disorder. The risks of developing Fibromyalgia is dependent on many factors. While genetics and environmental factors do put people at risk for this disorder, it does not necessarily mean that someone will develop it. People with an immediate family member with FM have a higher risk of getting the disorder. Studies have shown that people who have an immediate family member with Fibromyalgia are 8 times more likely to develop the disorder than those with no family history of the condition. It is important to remember that in order for condition to happen something must trigger it. The condition is a complex disorder as there is no known genetic origin. If you have a family history of Fibromyalgia, there is a higher risk for you to develop it. One must remember that other factors can decide whether a person will or will not have FM. This disorder is often difficult to diagnose since the symptoms overlap with other health problems. People with other conditions, like certain types of arthritis, are also more likely to have FM than most people. For those at a higher risk for FM, sometimes you can develop it over time, but for the most part, the onset of FM happens after it is triggered. Due to the polygenic nature of Fibromyalgia, it makes the condition more difficult to prevent. Although there are treatments, there is no cure for FM. The treatments make living with FM easier. There are some genetic tests, which are mainly blood tests that people can take to see if they are at risk to develop the disorder. For the most part, Fibromyalgia is not hereditary. While there are genetic factors that put people at a higher risk at having FM, there is no research supporting a direct genetic connection between families who have a history of the disorder. Unlike genetic disorders like hemophilia and sickle cell anemia, FM is more complex since other non-genetic issues contribute to the onset of the disorder. There are many theories on why people get Fibromyalgia, but researchers still have not found the origin of this disorder. Many studies have found a genetic aspect to FM, but as for now, there is no direct genetic cause. CFS/ME Versus Fibromyalgia: Which Ailment Could You Have?